I recently invited my friend, David Freeman to share what motivates him to tackle big goals and give his all to everything he does. David Freeman has an impressive background. 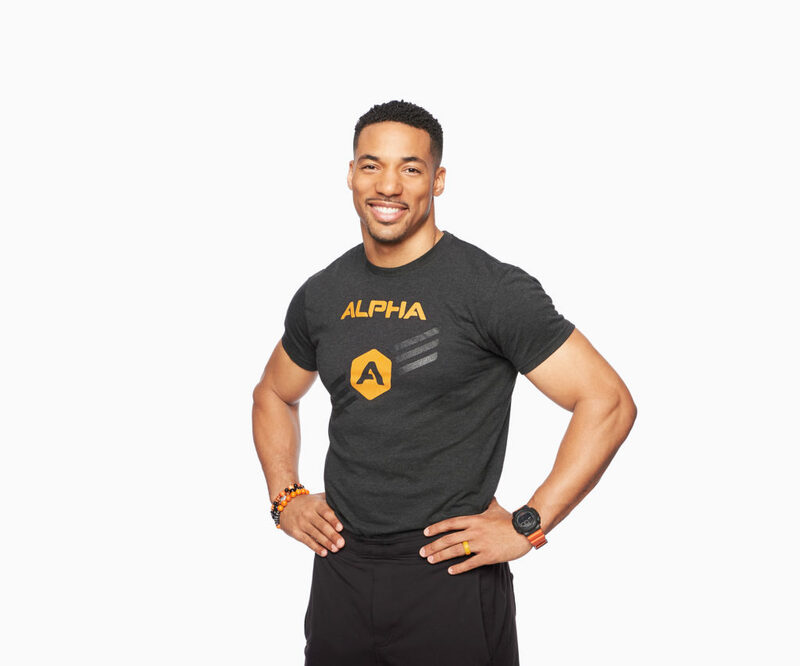 He has been awarded Life Time Fitness Most Valuable Trainer, three-time Trainer of the Year, and is the National Alpha Training Signature Brand and Program Manager. As a Lulu Lemon brand ambassador and former professional football player, he’s an all-star who tackles anything he sets his sites on. I have a mantra … “live on purpose.” It’s simple on the surface, but if you apply it to each decision throughout your day, you’ll find it challenges you to stop living in auto-pilot and to start making more conscious decisions that line up with your values and goals. Over the years as I’ve coached people, I’ve found that human nature sometimes tends to wait for motivation to come along and find us. Guess what? It’s not gonna happen. Motivation is important because it is your reason. It’s what drives you to pursue a goal so it’s critical to understand where it comes from and how to tap into it. Motivation can change and there can be several different factors that contribute to it. I’d like to focus on two types of motivation: extrinsic and intrinsic. Extrinsic motivation stems from external factors that drive you to take action, including outcomes such as getting into shape, losing weight, improving appearance, or getting stronger. When applied to fitness, this is when you’re motivated to do the exercise for reasons other than the activity itself. Intrinsic motivation comes from within. It is based on your desire to do the exercise for the satisfaction of the activity itself and how it makes you feel. Examples include working out because it relieves stress, you find it to be therapeutic, you love that runner’s high, etc. Intrinsic motivation is what drives you, while extrinsic motivation is a support and can help hold you accountable. Motivation is never just going to happen. Even for those who seem to naturally have unlimited amounts of motivation, they’re tapped in to their ‘why.’ If you don’t know your why, I encourage you to dig deep and figure it out. My biggest drive factor is my family. The motivation they provide is unmatched, because regardless of the outcome they always make me feel like a champion. It’s incredibly important to me that I leave a legacy behind for my family to have the mindset that they can accomplish anything they want in life with hard work and effort. Secondly, my purpose in life is to help change as many lives as possible and in return the world will become a better place. I strive to push each of the athletes I coach to become the best version of themselves. Seeing their progress fuels my fire and keeps me going. Whether you already know your “why” or you’re on a journey to find it, I challenge each of you with the following: Own this acronym I.P.P. IDENTITY: Define your identity. Knowing who you are and what you stand for is the first step in being able to know what you want to be focus on in life. This can be applied more specifically to knowing your “fitness identity.” When it comes to fitness and wellness, who are you and how do you describe yourself? Are you strong? Are you a fast biker? Are you someone who is dedicated to a certain routine and shows up, no matter what? Defining your identity is step one. PURPOSE: This is a core element of who you are and will never change because it drives you and fills your cup daily. No matter what may be going on in life, if this bucket is filled, you are on cloud nine. PASSION: Find and follow your passion. Passion is the act that compliments your purpose. Your passion can evolve and you may become passionate about new areas along the way. Incorporating passion is also how you evolve and grow within your identity or even your craft. As you begin to do this, you will see more and more opportunities arise. Being clear on the first two elements of identity and purpose allows you to find your passion and creates a strong cycle of reinforcing your motivation. Use this as fuel to tackle those goals! When it comes to fitness, it is important to have fun with it! Sticking to activities and workouts that you enjoy reinforces motivation and helps push beyond your comfort zone to achieve goals. Finding a routine you enjoy, that challenges you or that is convenient to your lifestyle could offer a jump-start to your intrinsic motivation to exercise. I recently put Emily through Metcon, a tough but fun Alpha workout that has two components, cardio conditioning and strength. If you know your active metabolic heart rate zones, note that this workout is designed for you to stay within zone three throughout it’s duration. EXERCISE 2: Bear crawl, distance of 35 yards. Exercise 3: Sled push for 20 seconds on the Skillmill. If you don’t have access to a Skillmill treadmill, a substitute would be to do the actual “sled push” exercise, which is to push a weighted plate across turf. Repeat these three exercises for a total duration of 10 minutes. Take a water break, rest for a couple of minutes and move on to the strengthening set below. Rear delt flies, goblet squat lunge and single-arm push press. Rear Delt Flies: Start with torso nearly parallel to the floor, arms down in front of you, weight in your hands. Lift the weight out and up in a slow and controlled motion. Complete 20 reps.
Goblet Squat with Lunge: Hold a kettlebell close to your body at chest height, feet slightly more than shoulder width apart and complete a squat. It’s important to get the full range of motion here and squat low to the ground. Return to starting position and step back to lunge with each leg. That’s one rep, repeat 6 times. Single Arm Push Press: Starting position is for the dumbbell to be at shoulder height. Move in to a slight squat and explode up to full standing position with your arm pushing the weight directly up above your head. Repeat 10x on each arm. Complete the above exercises in the strength component for a total of three sets. Emily says that she views David’s attitude of commitment as motivational. She also likes his positive and encouraging approach to fitness and his focus on how “you can”. For David, “can’t” is not an option! David’s approach is positive and encouraging. He focuses on how “you can”because “can’t” is not an option! If you’d like to view more workouts by David, check out his YouTube channel. I found this article to be very informative. Personally I think that it should be worked into the Core 3 Philosophy E-Book as a revised edition as the original came out in 2014. Especially the part about finding your fitness identity and the factors that motivate and drive you. Personally I started training as a freshman in high school to improve my strength and conditioning for sports. To this day even as of last night’s workout, what drives me in the gym is achieving new strength goals during any exercise so I guess that you can say that my motivation is performance based. Hi Jim! It’s great to hear that you’ve identified what drives your motivation to achieve your goals… that’s such an important part of staying on track! Thanks for reading and for your input.